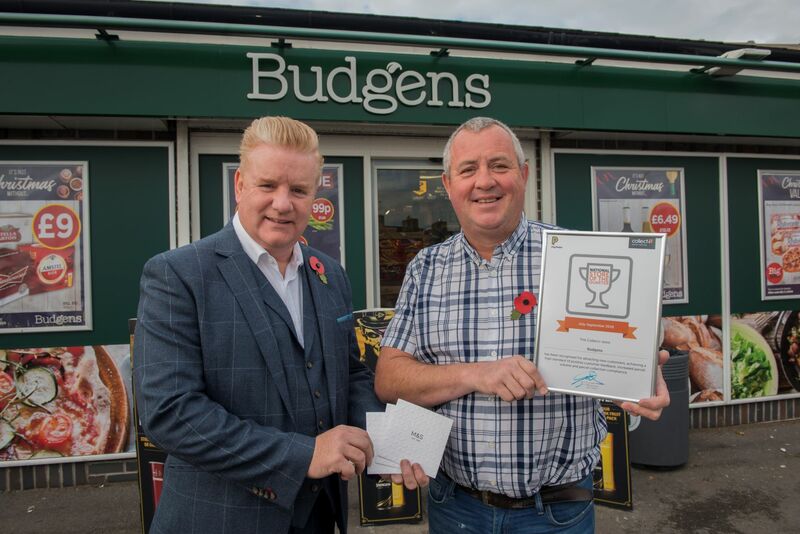 14th November 2018: A Budgens convenience store in Barnsley, South Yorkshire, has been awarded the title of the UK’s best CollectPlus store in the brand’s quarterly awards programme. The store achieved its top ranking by offering outstanding customer service to the local community. CollectPlus has also awarded one of the drivers from its sister company, Yodel, with the accolade of ‘Driver of the Quarter’. Stewart Colville, from Yodel’s Leeds customer delivery depot, has been part of the Yodel team for 15 years, and has been recognised for his efficiency in delivering parcels and providing great customer service to the Budgens store in Barnsley along with the other stores that he visits each day. The ‘Store of the Quarter’ award recognises excellent customer satisfaction and service levels from across the CollectPlus network of over 7,000 newsagents, convenience stores, petrol stations and supermarkets. The Budgens convenience store has been a vibrant hub of the local community for 30 years and has been part of the CollectPlus network since 2013. Outperforming over 7,000 stores nationwide, the store achieved an impressive customer feedback rating of 4.93/5 from July to September this year. CollectPlus, the UK’s largest independent store-based delivery and returns service, enables shoppers to conveniently collect online purchases and return unwanted items from more than 360 retailers. The CollectPlus network has evolved to incorporate over 7,000 locations across the UK and continues to expand. CollectPlus is committed to offering a unique selection of delivery options to all customers across its UK network. Highlighting its customer-centric approach and passion for creating seamless delivery experiences, CollectPlus received its highest customer satisfaction rating in YouGov’s BrandIndex Satisfaction survey in 2017. CollectPlus scores 9.2/10 on TrustPilot, with 85% of customers giving CollectPlus 5/5 stars (as of 01.08.18). Drop and Collect Limited trading as CollectPlus is the UK’s largest independent store-based parcel delivery and returns service. It offers a simple and convenient way for people to collect online purchases from or return unwanted items to more than 400 high street and online retailers, including John Lewis, Marks & Spencer, New Look and ASOS – all at their local convenience store. It is also possible to send parcels to any UK address from a CollectPlus store, making it a convenient option for those who sell products via online marketplaces such as eBay, as well as acting as a cheaper and convenient alternative parcel service for sending packages to friends and family. Founded in 2009, CollectPlus was the first business to offer third party Click & Collect in the UK and now has a network of over 7,000 conveniently located parcel stores across the UK, nearly all of which are open early ‘til late seven days a week. 90% of the UK’s urban population live within a mile of a CollectPlus point and 89% within five miles in rural areas. CollectPlus now handles in excess of 400,000 parcels a week and in September 2017 handled its 100 millionth parcel. CollectPlus has been ranked no.1 in YouGov’s BrandIndex Satisfaction survey in the UK parcel industry for 2017. Drop and Collect Limited trading as CollectPlus is a wholly owned subsidiary of independent parcel carrier, Yodel. UK independent parcel carrier, Yodel, handles over 145 million parcels every year and has a relationship with 85 per cent of the UK’s top retailers. The company is headquartered in Hatfield and has over 50 locations across the UK, including three central sorts and over 47 customer delivery depots. Drop & Collect (trading as CollectPlus) is a wholly owned subsidiary of Yodel and is the UK’s largest independent store-based parcel delivery and returns service. With over 7,000 parcel points across the UK, it offers a simple and convenient way for shoppers to collect their online purchases and return unwanted items. Through its sister company, Arrow XL, Yodel can also offer a two-man service for white goods and large items up to 120kg.